A sign welcomes Chinese Premier H.E Hu Jintao and Zambian President H.E Levy .P. 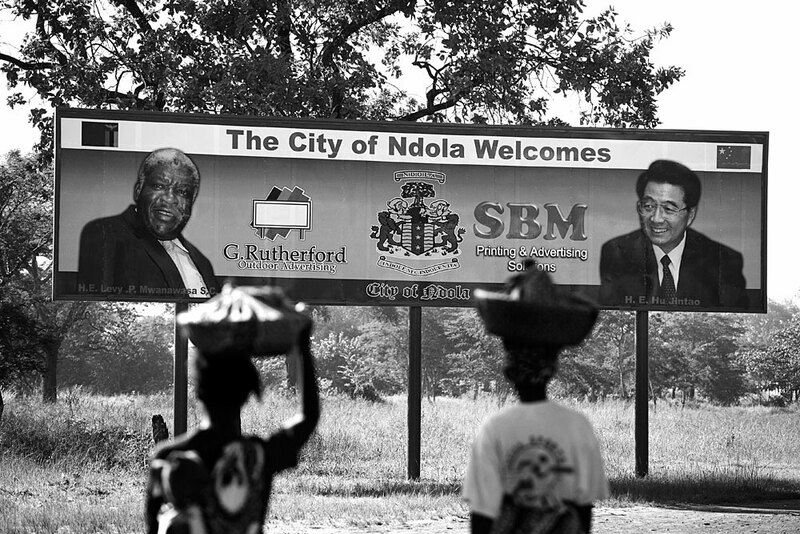 Mwanawasa, Ndola, Zambia, 2007. Mr. Jintao toured several African countries in early 2007 to strengthen ties, including Zambia.